Paul J. Barreria is the director of Harvard University Health Services and the Henry K. Oliver Professor of Hygiene. Undergraduate students make up more than 80 percent of the patients seen in Harvard University Health Services' Urgent Care, Harvard University Senior Director of Nursing and Health Promotion Maria Francesconi said in an interview last week. In its current model, HUHS treats undergraduates primarily through its Primary Care and Urgent Care services. Students seeking to use Primary Care must schedule an appointment in advance, but Urgent Care sees students without appointments 24/7. 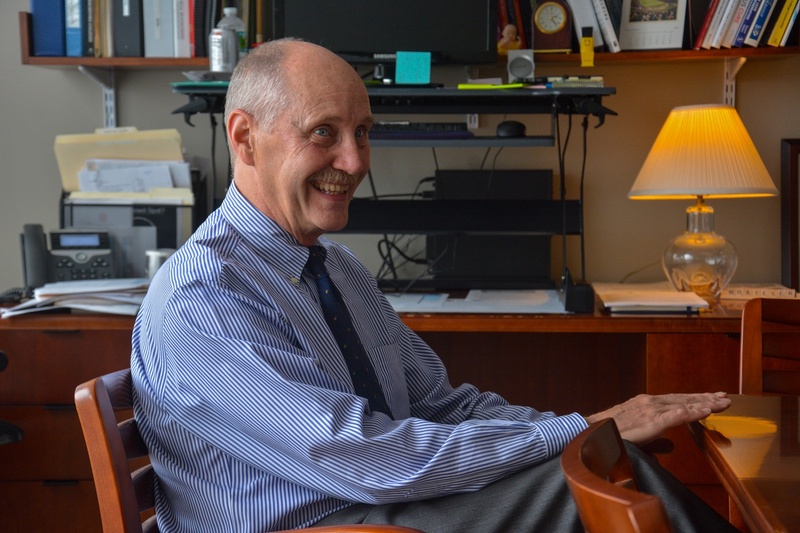 Though undergraduates make up approximately 32.8 percent of total students enrolled at Harvard — 6,766 out of 20,604 — an overwhelming majority of the patients treated at Urgent Care are College students, according to Francesconi and HUHS Director Paul J. Barreira. Both Barreira and Francesconi said potential reasons for the statistic include confusion over the assignment of Primary Care providers and busy schedules preventing students from making formal appointments. Though all students have the opportunity to connect with an HUHS Primary Care provider prior to arriving on campus in the fall of their first year, only a small percentage of freshmen reach out beforehand, according to Barreira. “About 10 percent of people contact us ahead of time because they have existing medical conditions and they want to be connected to us so it's sort of various autoimmune diseases, and asthma, and diabetes, and stuff like that,” Barreira said. Despite his concerns, Barreira said he recognizes that some issues concerning the College student body must be addressed by Urgent Care. “It's kind of hard to see a primary care doctor and say, ‘You're gonna throw up in a week, so let's do something about it,’” Barriera said.